John von Neumann - a polymath who made foundational contributions to Physics, Mathematics, Computer Science. Paul Erdős - one of the most prolific mathematicians in history, with over 1500 papers. Twentieth century mathematicians jokingly refer to their ‘Erdős number’ - the number of links of co-authors to being a co-author with Erdös himself. John Harsányi - Won the Nobel prize in Economics for his contributions to Game Theory. Theodore von Kármán - Founded modern Aeronautics. George Pólya - Stanford mathematician who did foundational work in many areas. The list could go on - Leó Szilárd, Edward Teller, László Tisza, Eugene Wigner, Dennis Gábor, Peter Lax, László Lovász, Endre Szemerédi … How did Hungary, a country with a population even now of less than ten million, produce so many intellectual giants, a full thirteen Nobel prize winners, three winners of the Wolf and two of the Abel prizes (recently established equivalents of the Nobel in Mathematics)? While there must be many factors, one sticks out - all of them participated in the mathematical problem solving culture established over a hundred years ago, in the form of a magazine, Kömal, with problems posed for high school students, and competitions such as the Eötvös (later known as Kürschák, after Eötvös became the name of the Physics competition). For instance, Harsányi and Pólya were top solvers in Kömal, and von Kármán topped the Eötvös competition. Kömal was created by Dániel Arany in 1894, and three years later, taken over by László Rátz, the teacher of Eugene Wigner and the then 11-year-old John von Neumann. 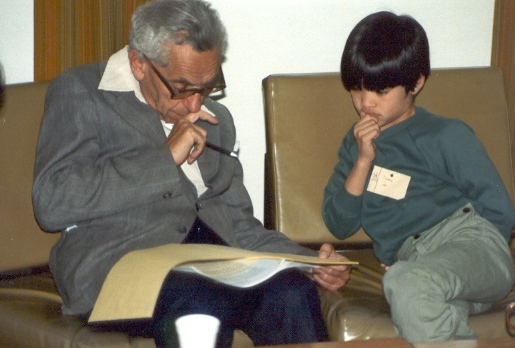 Erdős’ first publication was the solution to a Kömal problem, and once, he was only one of two students to solve a problem; the other, Paul Turán, later became his friend and close collaborator. Forty years after Erdős turned in his first Kömal publication, László Lovász, then in 8th grade, picked up his first issue of Kömal, and was inspired by an article by — Erdős! This long tradition of cultivating hard thinking and ingenuity to solve elementary (in the sense of not requiring advanced techniques) problems, starting at an early age must surely have had an effect! Indeed, George Pólya attributed his becoming a mathematician to three factors - Kömal, Kürschák, and his teacher Lipót Fejér. And, Erdős, also a student of Lipót Fejér, spoke of ‘The Book’ selecting only the most beautiful proofs; much like the ‘best solutions’ that were published in Kömal. Starting in Hungary, this problem solving tradition spread to its neighbors in Eastern Europe, and Russia. The tradition was extended in Hungary in1994 to younger students, 3rd-8th graders, by Sándor Róka (Bessenyei György Teachers’ Training College, Nyiregyháza, Hungary). An author of many problem books, he collected material from elementary school mathematics competitions from Poland, Romania, Russia, and Hungary. He formed a magazine similar to Kömal but for younger students, called the Abacus Mathematics Challenge. ​Paul Erdős, the most prolific of modern mathematicians, was uniquely devoted to his love. With no permanent positions or possessions, he was a virtual nomad, moving from one mathematical stint to another, ‘converting coffee to theorems’. Indeed, his peripatetic life and connection with the Eastern Bloc attracted the attention of the ever industrious FBI, which after decades of investigation concluded that there was "Nothing to indicate the subject had any interest in any matter other than Mathematics"! and Iyengars speak only to God! Paul Hoffman, his biographer, mentions that Erdős, on the occasions he lectured in Madras, gifted his lecture fees to the impoverished widow of the great Srinivasa Ramanujan, whose work had influenced him greatly. ​Hungarians who grew up in this tradition, spread it to their new homeland when they emigrated. The development of the Internet and email made it possible to reach a wider audience. In the U.S., George Berzsenyi founded the USAMTS for high school students, and was the coach for the US IMO team. For elementary and middle school students, Mr. Tivadar Divéki, started the Abacus International Mathematics Challenge in 1997, with the encouragement of Alex Szalay. These programs have been free to their participants since inception, and several thousand students have benefited. In 2015, with the encouragement of Profs. Vera Sós and László Lovász, close colleagues of Paul Erdős, and the kind permission of Prof. Ronald Graham, his close friend and collaborator, the Abacus program was renamed in honor of Paul Erdős. Also in 2015, SKET started its effort to sponsor the program in India. The trust and the program aspire to live up to the ideals exemplified by Prof. Erdős. The Sharma Kamala Educational Trust feels privileged to sponsor The Paul Erdős International Math Challenge, run by Mr. TIvadar Divéki, in India.